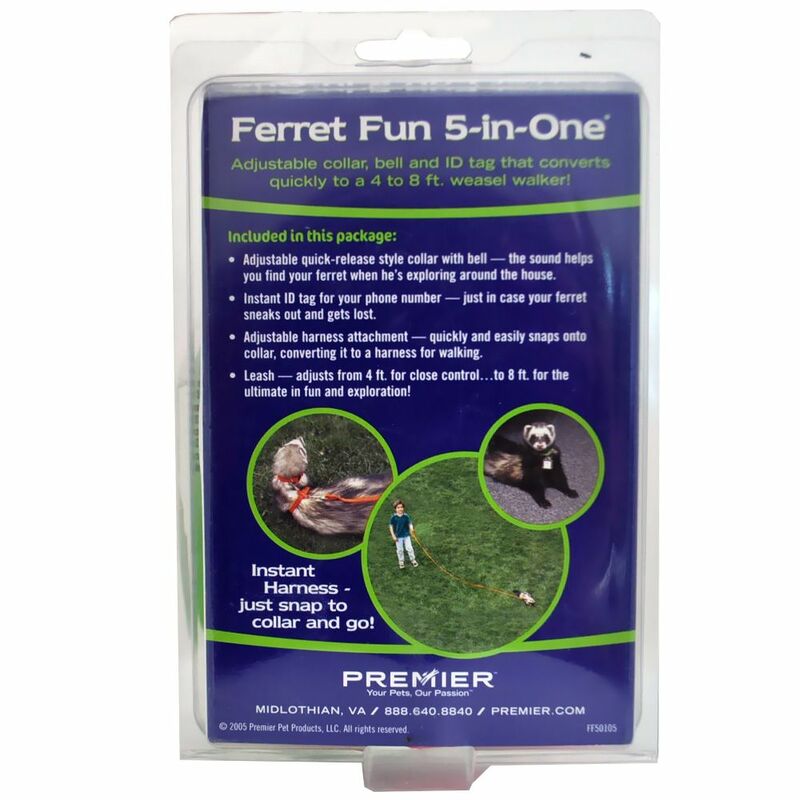 With the Ferret Fun 5-In-One you can keep track of your ferret friend in the house. Take him for a walk and play with him out in the backyard. You'll be able to hear the bell on the adjustable collar while in the house. Snap on the adjustable harness attachment to take him for a walk. Let the adjustable leash out to its full 8 feet to play outside. 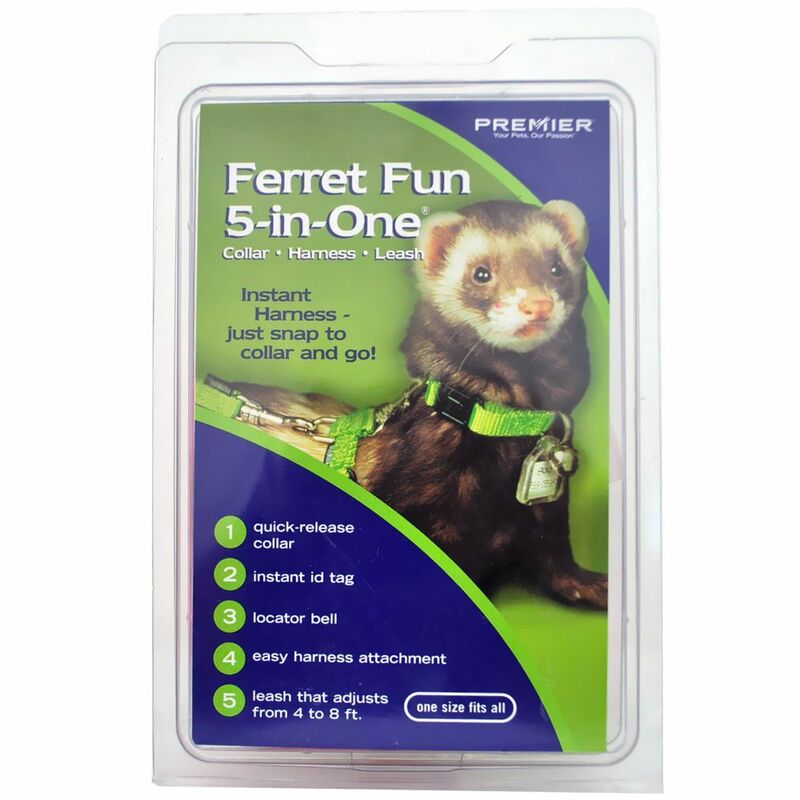 Made of premium nylon, the collar, harnesses and leash come with compete instructions, along with helpful hints and safety tips for outdoor fun with your ferret. Even includes an instant ID Tag for your phone number - just incase your ferret sneaks out and gets lost. One size fits all. Lots of colors to choose from. This is one of my favorite ferret harnesses. My girl is pretty small and this harness fits her snuggly and doesn't get looser while she runs around. The clips feel pretty cheap but they have held together just fine so far. of all the harnesses I've used this one is by far the best. 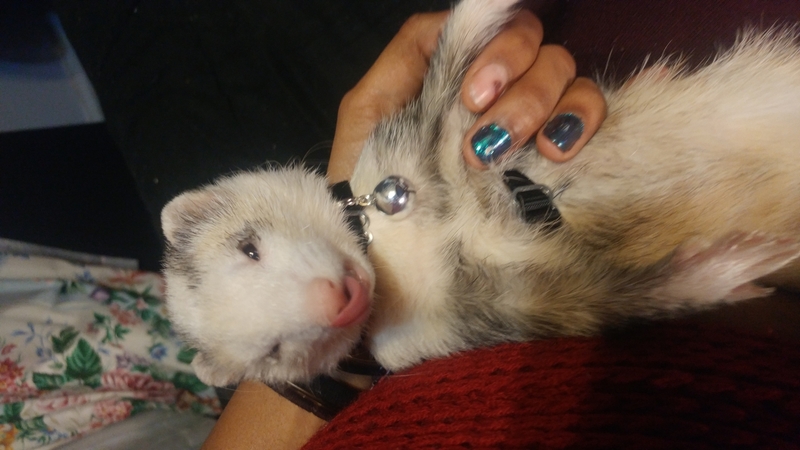 I bought this harness a while ago for my ferret and we both love it. It is very easy to put on and keeps my ferret safe during our outdoor time. Can only recommend this product.